Of all the pieces I've made over, this is my favorite so far. We bought the pie safe at an unfinished furniture store in the 80's. As soon as I got it home I stained it dark brown. Needless to say, it could not escape the white paint when I caught the cottage bug a few years ago. I thought it might look cute if I mounted a mirror on it, so the hunt was on. I found the perfect mirror at a junktique store. It was a simple, round mirror and the base was the perfect size for the pie safe... Best of all, it was marked down to around $22! I applied wreath appliques to the door panels, a rose garland applique to the mirror base, and painted both pieces creamy white. 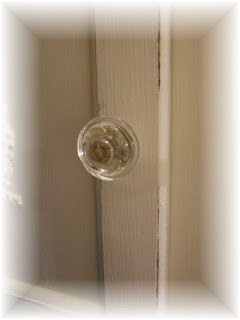 After lightly sanding a bit along the edges and applying glass knobs... voila! A brand new look for that little old pie safe! UPDATE: To answer a few questions... Because I never varnished or waxed this piece after staining it, I was able to paint right over the dark brown without sanding. Priming really does help knot holes from showing through (a step I admittedly skip from time to time). The type of appliques I buy have a 'sticky' back that is activated when they are held over boiling water/steam (I use my old tattered frying pan spatter guard for this purpose - and needless to say, I don't use it for food/cooking anymore!)... To sand/distress along edges, if I remember, I'll rub a candle down the edges (before painting), wherever I want the paint to sand off easily after the piece has dried. You did a great job as it looks fantastic. 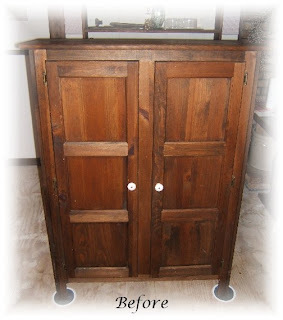 I feel inspired to look for some pieces myself as I have refinished some furniture in the past. Your blog is really wonderful! What a darling pie safe! 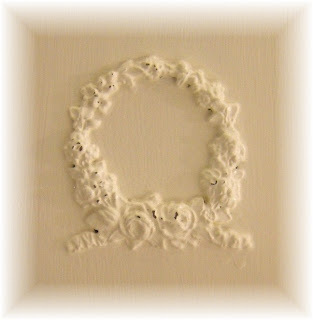 I just love the way you painted it, and the appliques are beautiful! I love making old things over. You'll be seeing some makeovers in my future posts. We've been busy. Have a wonderful day! 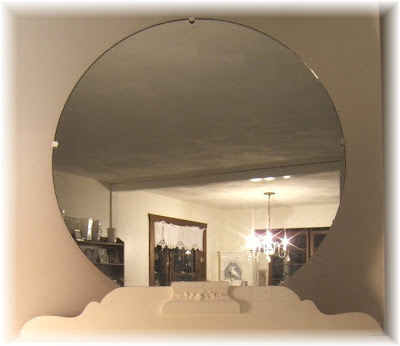 I love that piece :) A mirror for $22?? Wow! OOOH that came out beautiful!! Love the appliqués! Now, what do you do to prepare the piece? Just sand it down a bit or what? I have a few pieces I want to paint. How did you attach the appliques? I have a few but I wasn't sure what to do. That is an amazing makeover. 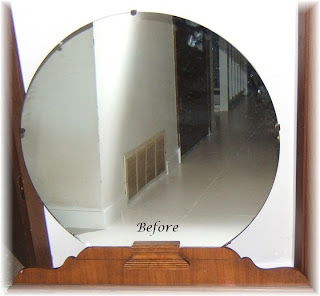 I would have never thought you could turn a primitive looking piece like that into shabby chic! It's gorgeous Donna! 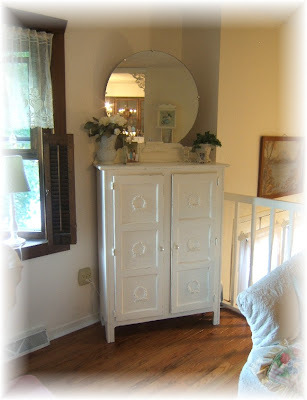 Wow, what a difference the white paint, the applique's you added, and the mirror made to it! It was very nice brown but became extraordinary after all your work. All my furniture is dark .... I need a lot of white paint! I blogged about my favorite cookbooks today. I hope you have some time to tell me about yours. 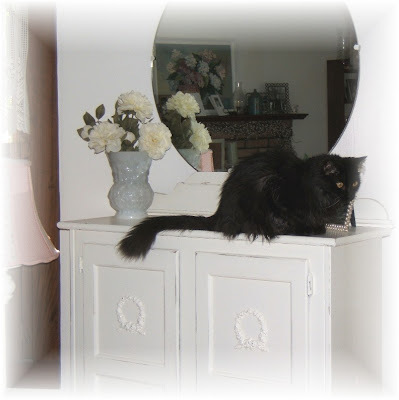 Donna I have posted a picture of our black cat on our web page..